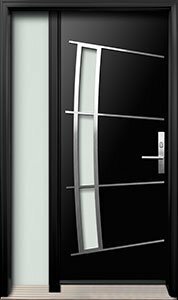 A curved rectangular door glass is secured in a 2” wide stainless steel frame and complemented by four angled lines across the slab. 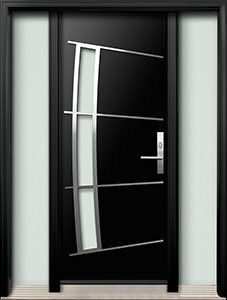 Your entryway will look extraordinary and unique with this door. This design is also available without the glass insert option.